WITH THE RENEWAL OF DIRECT PEACE TALKS between Israel and the Palestinians, the time is ripe for some out-of-the-box thinking. Both theoretical solutions of the conflict – partitioning the holy land to create two states for two peoples, or leaving it intact as one state for two peoples, are problematic. One way forward might be to create a grand synthesis between the two by adopting the best of both. In itself, the one state solution is a non-starter. Despite rumblings by some Palestinian leaders that they might be ready to go for a one state model in which the Palestinians would soon become a majority, most Palestinians are not ready to give up the more realistic dream of establishing an internationally-backed state of their own along the 1967 borders. And despite proposals by some right-wing Israeli thinkers to grant West Bank Palestinians Israeli citizenship in a single state that would somehow retain its Jewish majority, most Israelis won’t agree to put their already existing predominantly Hebrewspeaking Jewish state at risk. Nevertheless, the complexity of the situation is such that both sides would be well advised to look beyond the conventional two-state wisdom to an arrangement in which partition of the holy land does not entail a total and possibly unworkable disengagement. One such model could be that of the European Union. It could satisfy the aspirations of both sides for separate national sovereignty and unique cultural identity in two separate nation states, while creating a common superstructure to promote shared interests and exploit joint resources in all the territory of the holy land they share. Even if establishing such a model today seems like a phantasmagoric pipe dream without any basis in the conflict-ridden Israeli- Palestinian experience, the very prospect could make it easier for both sides to reach a practical solution to the conflict. If adopted, the EU-style superstructure would encourage the two nations to work together for the good of the land over which they had been warring for exclusive ownership, by establishing a kind of joint ownership over the territory as a whole. The two national entities, Israel and Palestine, would enjoy absolute sovereignty, like, say, the French and the Germans, with their own flag, government, parliament, stamps, currency and the like. But, like the members of the EU, the two separate countries would set up a joint administration, let’s call it the “Holyland Union,” which would be headed by a commission, with representatives from both sides. The commission would, of course, be based in Jerusalem. Its mandate would be to devise and implement joint projects designed to promote an improved quality of life and a solid infrastructure for reconciliation and coexistence, for example in fields like the economy, agriculture, environment, health, education and welfare. A precondition for the success of the “Holyland Union” would be full recognition by both sides of the holiness of the land for different faiths, Muslims, Jews, Christians, Bahais and others. The commission would be entrusted with the task of preserving, maintaining and developing holy and historical sites, and ensuring free access to them. It would also draft joint educational programs to inculcate a thorough awareness on both sides of the importance of the holy land to all religions with roots there. This inclusive approach would quickly turn the holy land into a magnet for international tourism, providing a huge source of revenue and employment. 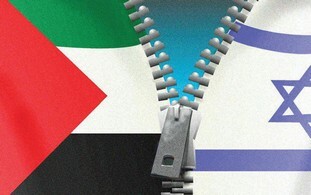 The joint framework could also help solve problems, which today constitute potential sources of friction: for example, the notions of “transferring” Israeli Arabs, on the one hand, and Jewish settlers, on the other, could be superseded by more creative solutions, allowing both to remain in their current homes, and to choose between full citizenship in their country of residence, or permanent residence and citizenship in the neighboring “Holyland Union” member state. That would enable Jewish settlers in far-flung settlements that become part of Palestine to stay on as permanent residents, but to choose Israeli citizenship and the right to vote for the Knesset. In other words, in a settlement of this kind, there would be no need for any involuntary uprooting of Jewish settlers. Jerusalem, as the seat of the commission, would gradually become the capital of the union. According it this status should therefore be discussed in the early stages of any future negotiation. From the outset, the “Holyland Union” will be open to the incorporation of Jordan. Later, membership could be considered for Syria and Lebanon as well, while strictly adhering to the union’s founding principles that guarantee the separate national, cultural and religious rights of all the contracting parties. The next stage might be to consider expanding the union to the Middle East as a whole, turning the initial “Holyland Union” into a much larger Middle Eastern Union.If all the parties will it, it won’t be a dream. Eldad Beck, who reports on European affairs and developments in the Arab world for The Jerusalem Report, is based in Berlin.